Pope has conferred this title and its special privileges. An example is Prince Georg of Bavaria (1880–1943) who became in 1926 Protonotary by papal decree. 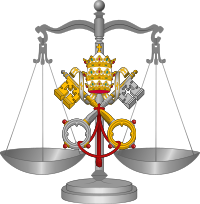 Rome to which the privilege had been granted, could be raised; the protonotarii apostolici ad instar (sc. 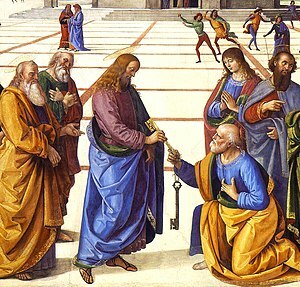 participantium), who were appointed by the pope and had the same external insignia as the real protonotaries; the protonotarii titulares seu honorarii, who were found outside Rome, and who received this dignity from the nuncios or as a special privilege. Pope as of 2014, but all existing supernumerary protonotaries are allowed to keep their titles. Herbermann, Charles, ed. (1913). "Prothonotary Apostolic". Catholic Encyclopedia. New York: Robert Appleton Company.